Often used to manage opioid detox, as well as part of a medication-assisted treatment program, Suboxone is prescribed to help individuals quit abusing heroin or other opioids, such as Vicodin, OxyContin, and Percocet.1 Although it can be very effective in helping people with their recovery, some people may divert Suboxone and abuse the medication to get high. Since it is an opioid medication, Suboxone abuse can lead to the development of some physiological dependence. Someone who has developed a significant problematic Suboxone dependence may benefit from professional detox services to assist with uncomfortable withdrawal symptoms and end their compulsive misuse of the medication. 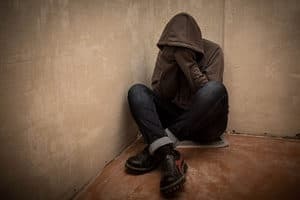 Currently, Suboxone is a prescription medicine intended for oral administration.2,3 Despite its benefits, many people still find a way to abuse Suboxone, and addiction can develop over time. Taking Suboxone that is not prescribed to them. Taking higher or more frequent doses than prescribed. Mixing Suboxone with other substances, such as alcohol or sedatives. Crushing and injecting it, although this method results in full naloxone absorption and could cause uncomfortable withdrawal symptoms to emerge immediately. Chronic Suboxone abuse can lead to a dependence on Suboxone, since it does contain an opioid. Physiological dependence is a reflection of the body’s natural adaptation to the presence of a substance over time. Once dependence develops, a person may require that drug—in this case, Suboxone—in order to feel and function optimally. If they abruptly quit or dramatically reduce use, unpleasant withdrawal symptoms could emerge. It should be noted that some amount of physical dependence on Suboxone doesn’t necessarily provide indication of a problematic pattern of use, as dependence can develop in someone taking it long-term as part of a medication-assisted treatment program. In these cases, if a patient wants to quit taking Suboxone, physicians are trained to implement gradual tapering schedules to allow them to slowly reduce their use. With that said, if you are misusing or abusing Suboxone to get high, dependence would quickly grow in parallel with a burgeoning cycle of compulsive use and, subsequently, addiction. Requiring more of the substance to achieve the desired effect (i.e. tolerance). Experiencing withdrawal symptoms when discontinuing the substance. Experiencing intense cravings to use the substance. Failing to reduce or quit drug use, despite efforts to do so. Continuing to use the substance regardless of interpersonal, academic, or occupational issues. Continuing to use the drug despite physical or mental health problems caused or exacerbated by use. Using the substance in physically hazardous situations (i.e. while driving or operating equipment). Like other opioids, dependence on Suboxone can lead to distressing withdrawal symptoms if you abruptly stop taking it. Excessive sweating and high body temperature. Tearing of eyes and runny nose. Because these symptoms can be so distressing, people often find it important to seek medical detox for professional support and medical withdrawal management. Detox can provide the support and comfort needed to manage these acute symptoms. Co-occurring medical or psychiatric conditions. Anhedonia (inability to feel pleasure). The combination of some or all these withdrawal symptoms can increase the risk of relapse for months into the early recovery period. To mitigate this risk, it is vital for people to receive the monitoring, support, and structure needed to manage a stable and healthy recovery. Detoxing on your own can be distressing. Because the withdrawal symptoms can be so painful, many people relapse on Suboxone or another opioid to alleviate the discomfort. Professional detox programs can safely assist you during this vulnerable time, as they are intended to increase your comfort, ensure your safety, and smoothly transition you into an appropriate level of treatment care. Typically, Suboxone is administered to someone going through opioid withdrawal, but if someone is addicted to Suboxone and experiencing withdrawal, the detox treatment team may make the executive decision to avoid re-administering Suboxone; instead, they may provide supportive medications for symptoms, such as clonidine for autonomic arousal, such as increased heart rate and rapid pulse.5 That said, if they do decide to utilize Suboxone, they will create a tapering schedule in which they gradually lower the patient’s dose over a predetermined period of time to prevent withdrawal. Detox can occur in several different settings, though most fall under the categories of either inpatient or outpatient care. Inpatient detox: Inpatient detox settings include 24-hour supervision, support, and observation for patients experiencing withdrawal. These settings can include freestanding detox clinics or hospitals. Inpatient is considered the highest level of detox care and withdrawal management, and it is the most structured detox option. 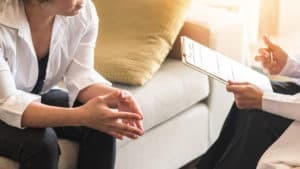 Outpatient detox: Outpatient detox is typically appropriate for people experiencing relatively non-severe withdrawal symptoms that do not require 24-hour supervision.5 This level of care requires onsite services a couple hours a day, so people typically have the freedom to continuing working or going to school while detoxing. Outpatient detox can also occur in hospitals, freestanding clinics, and other appropriately licensed facilities. Suboxone detox programs provide short-term stabilization and medical support. They do not, however, substitute for long-term treatment. After successfully completing a program, it’s crucial to transition into a comprehensive addiction treatment program. These programs provide clients with the psychoeducation, coping skills, and sober social support needed to maintain a sustained recovery. U.S. Department of Health and Human Services. Substance Abuse and Mental Health Services Administration, Center for Substance Abuse Treatment. (2011). The facts about buprenorphine for treatment of opioid addiction. Food and Drug Administration. (2014). Suboxone. American Psychiatric Association. (2013). Diagnostic and statistical manual of mental disorders (5th ed.) Arlington, VA: American Psychiatric Association. Center for Substance Abuse Treatment. (2006). Detoxification and substance abuse treatment. Treatment improvement protocol (TIP) series, No. 45. Rockville, MD: Center for Substance Abuse Treatment. World Health Organization. (2009). Clinical guidelines for withdrawal management in closed setting. Geneva, Switzerland: WHO Press. The Science of Suboxone: Does it Work? Why Is Suboxone Used in Opioid Addiction Treatment?